Saturday saw 12 pairs contest a 4 Ball Better Ball event at Royal Yea. Ivor Brayley(24) partnered a guest from Eagle Ridge GC Grant Bentley (26) to get 44 points and win the event. Second with 43 points were Malcolm Bett(21) and Kevin Coghlan(19) . Grant had the individual high score with 41, with Peter Johnston(15) 37 and Greg Clements(14) with 36. 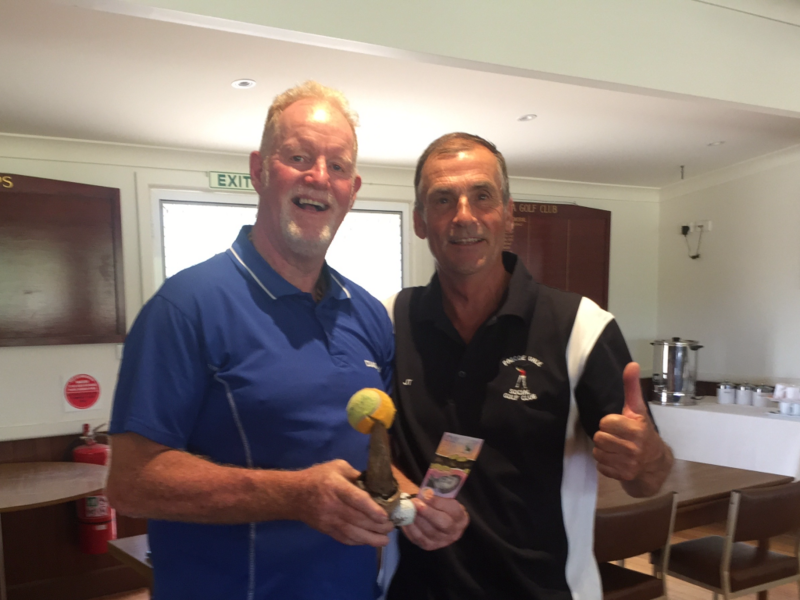 John Tanner/Alan Pell won the Club Award on CB with a team score of 37 points. Lucky Club Winners $5 each. Next Saturday is the third round of the Murrindindi Masters at Marysville. Please let Vicki Clements know if you are interested. There is a vacancy for The Tocumwal Men’s Trip on March.15-17th. If interested contact Greg Clements. Also if you can fit a day or two to attend the Bellarine Golf Week from 1st-5th April please let Alan know. David Ngo – A Great Round!